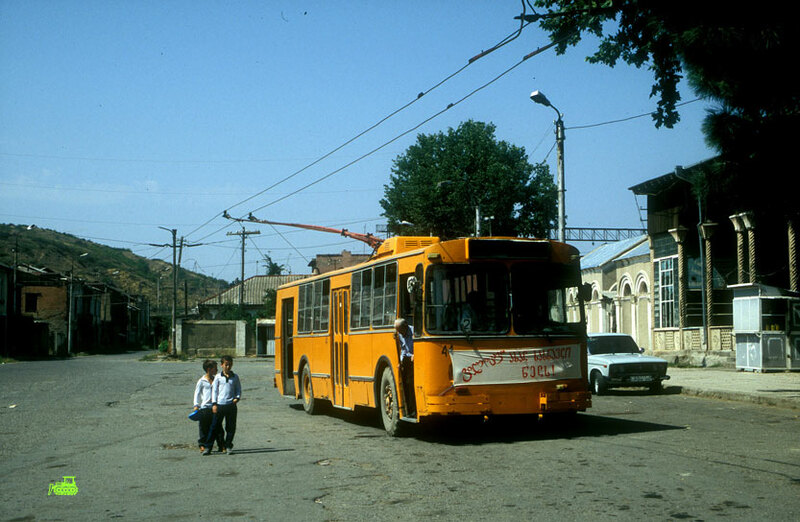 Currently (2016) there are no tram or trolley lines in Tbilisi, but not so long ago in history there were plenty of tram and trolleybus lines not only in Tbilisi, but also in Batumi, Kutaisi, Gori, Zugdidi, Ozurgeti, Poti, Rustavi and even Chiatura. 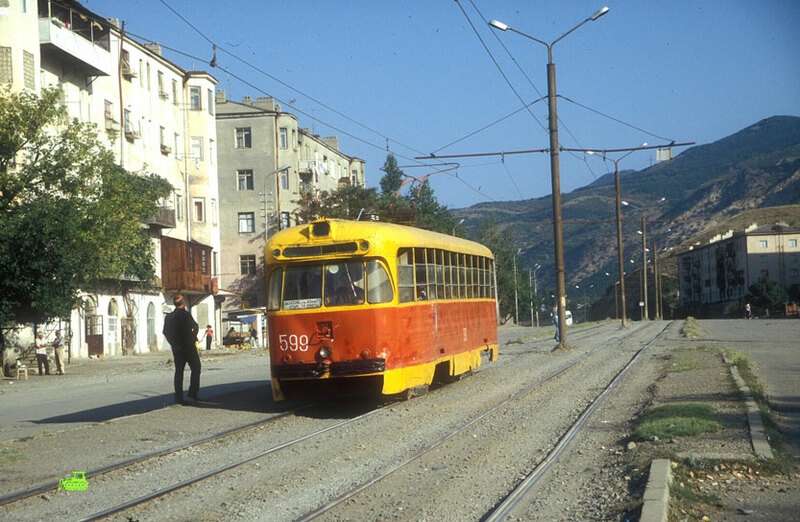 What have happened to once pretty impressive routes of trams and trolleys in Georgia - I guess the harsh history happened. 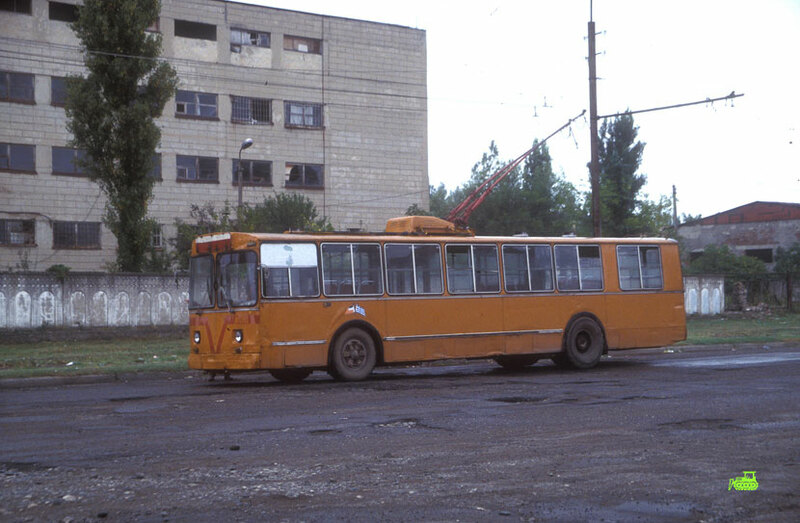 After Collapse of Soviet Union - Georgia got troubled with civil wars, economic hardships so neither trams or trolley were priority. 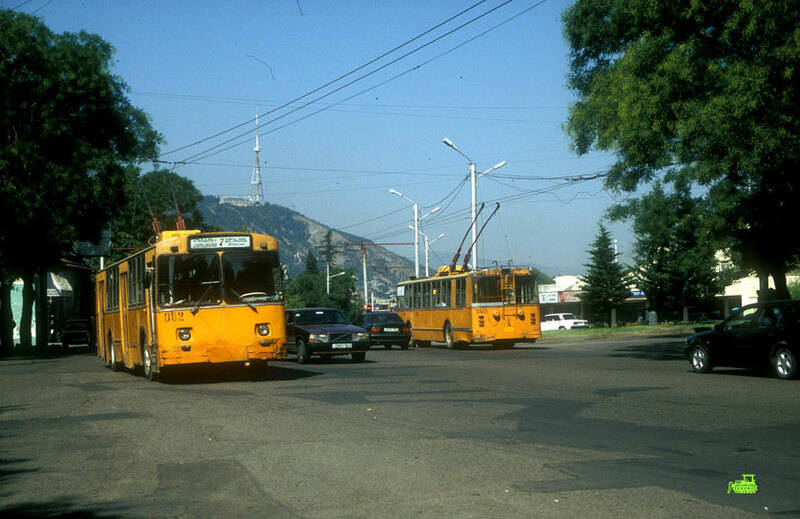 I have found an interesting resource http://photo.tramvaj.ru/ (In Russian language) were some more than 10 year old pictures (dated with 2003) with trams and trolleys in Georgia are listed. 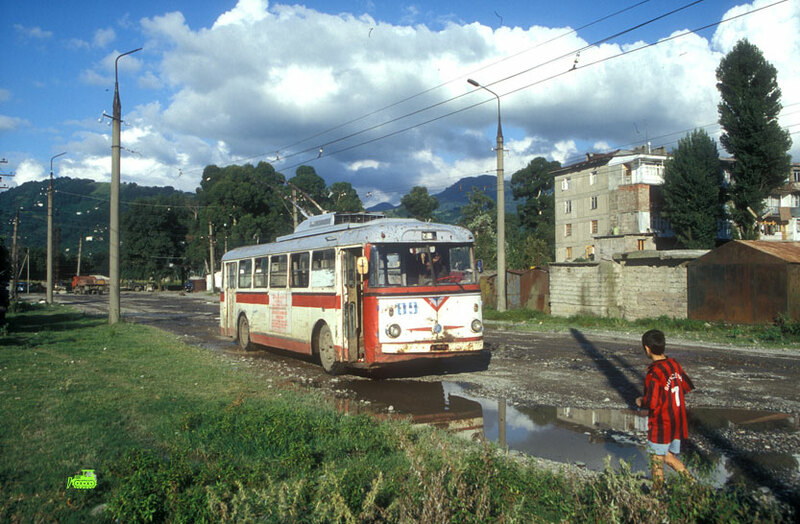 Author of all images listed bellow: © Mike Russell, Reading, GB. 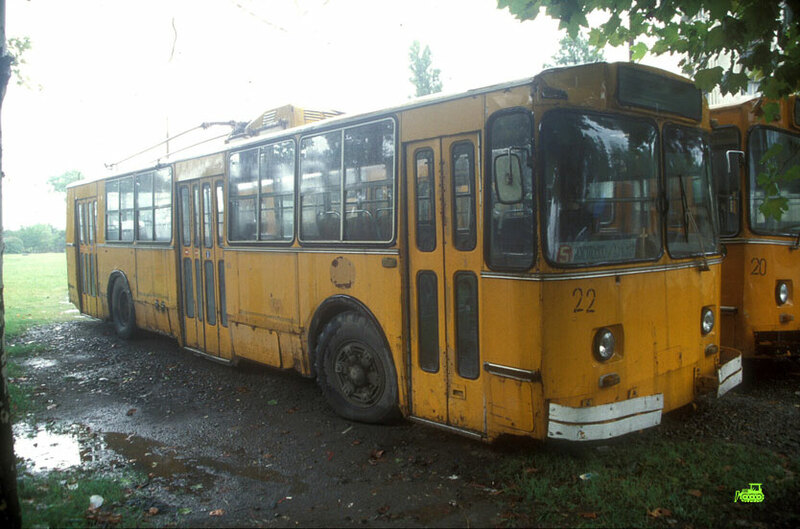 Pictures taken at the begging of September 2003. 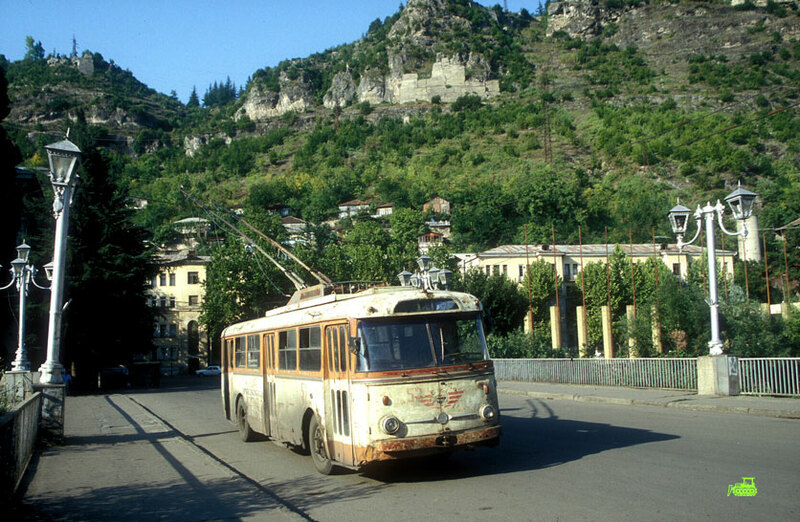 From Wikipedia: Tbilisi had a tram network, since 1883 starting from horse driven trams and from 25 December 1904 electric tramway. 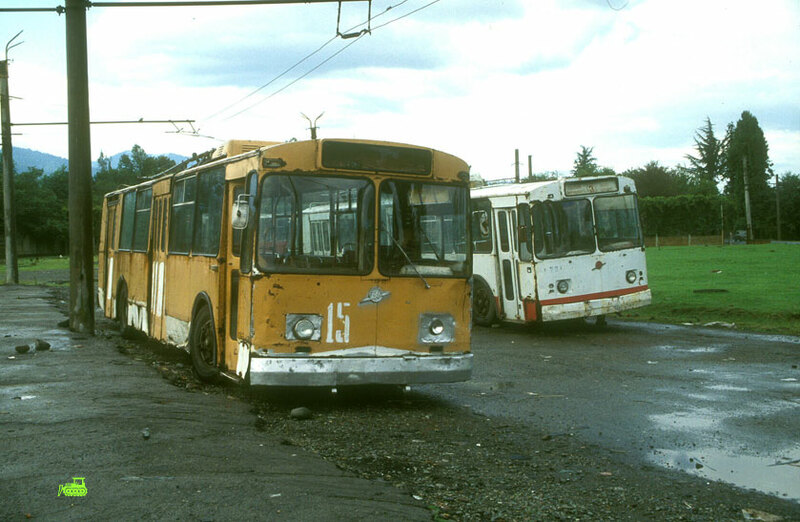 When the Soviet Union disintegrated, electric transport went to a degradation state within the years and finally the only tram line left was closed on 4 December 2006 together with two trolleybus lines which were left. 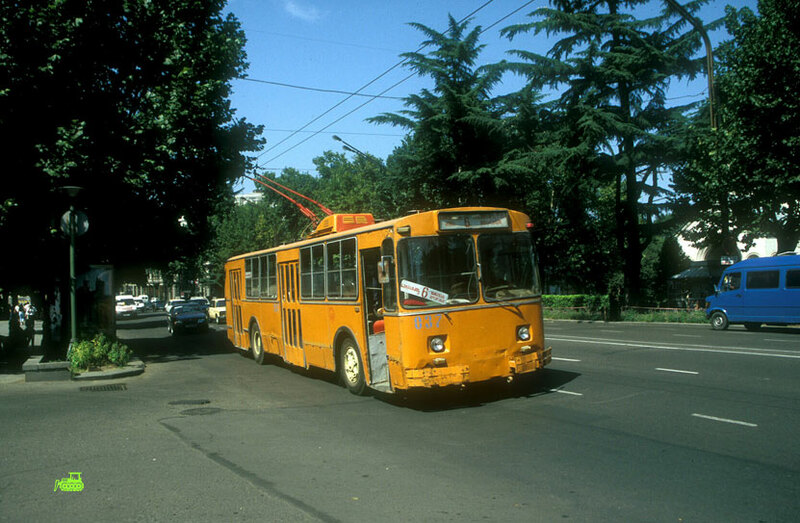 There are plans to construct a modern tram network. 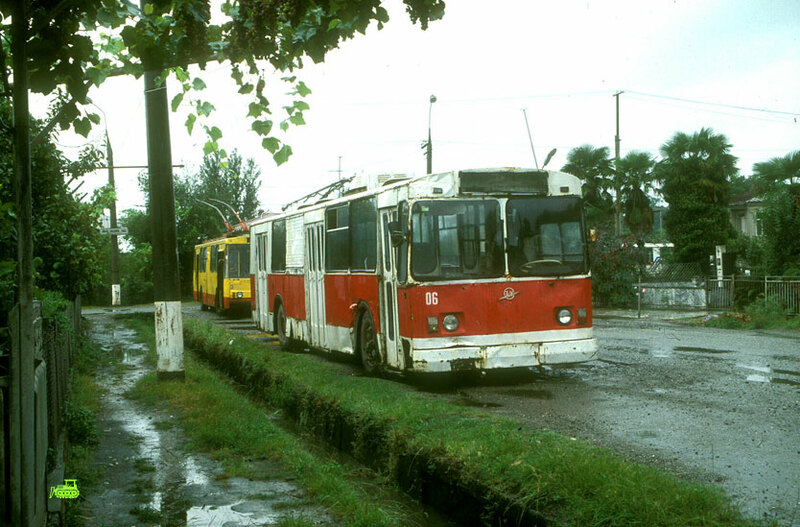 To make it more easy to maintan looks they have decided not to use secondary doors. 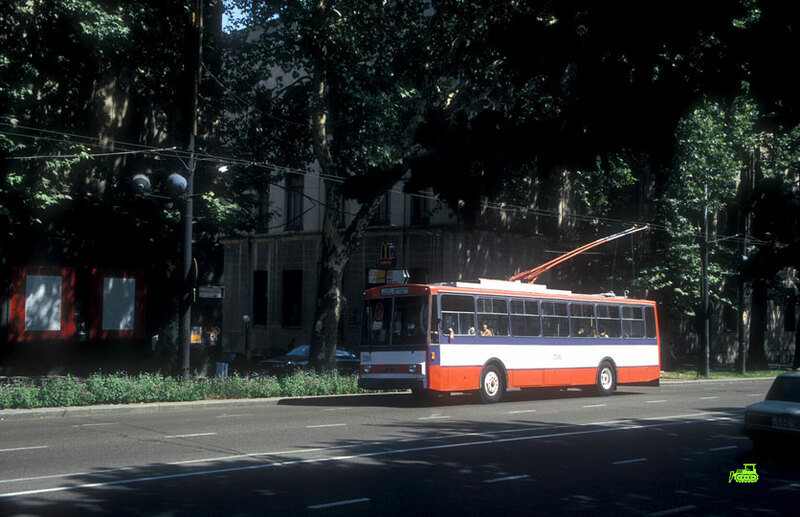 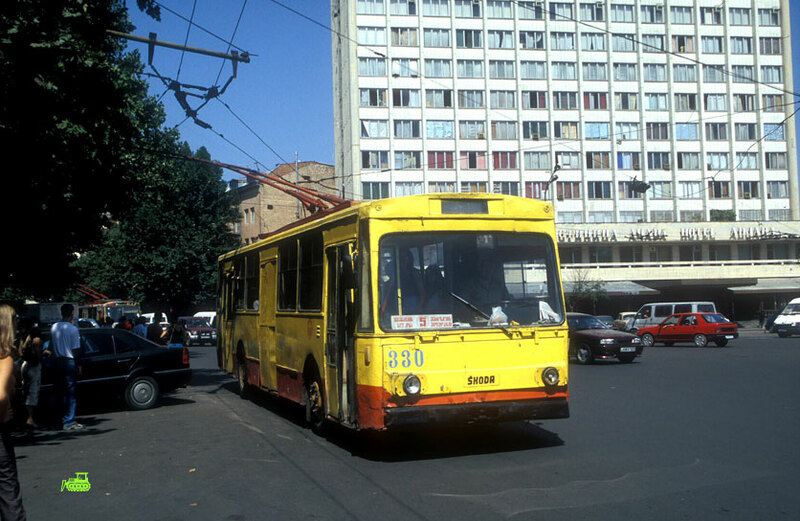 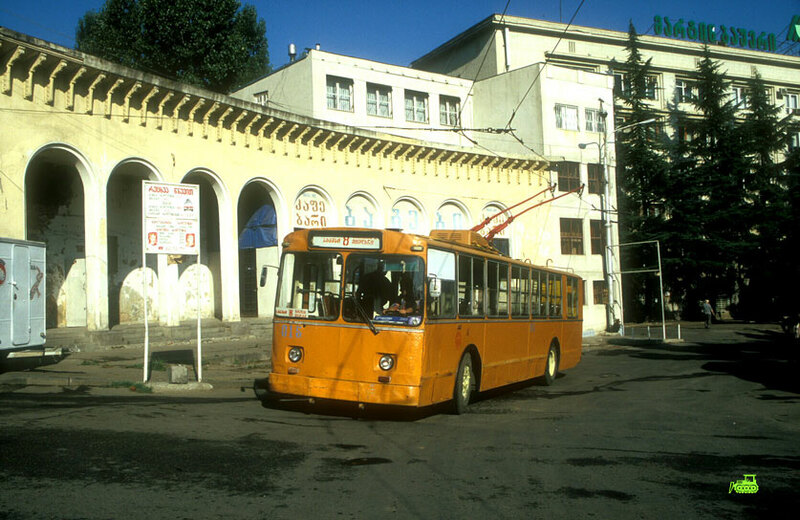 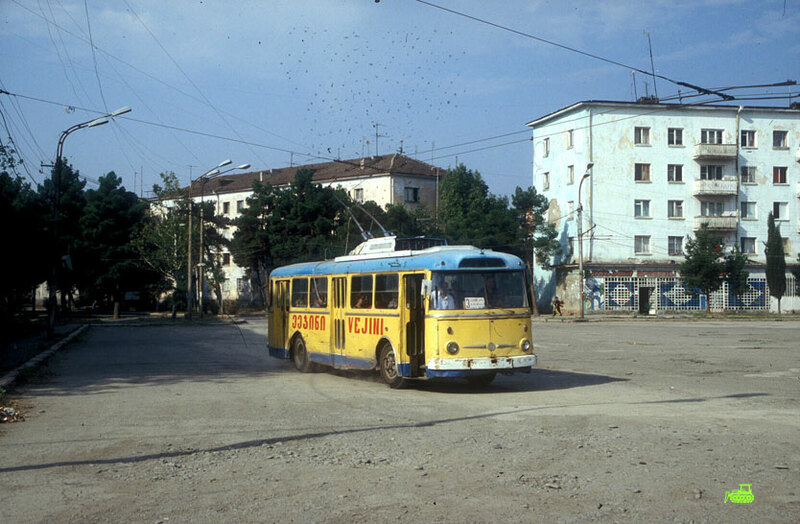 There was only one route in Zugdidi, ZIU-9 and Škoda trolleybuses run on it. 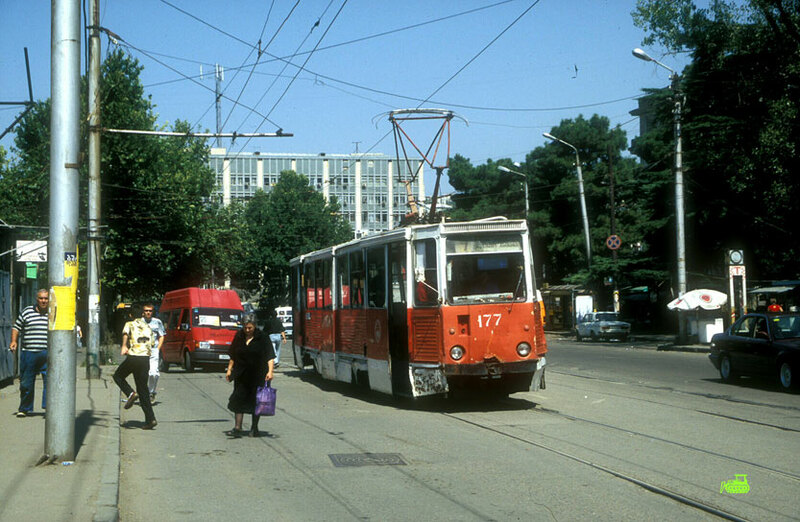 As you can see from those pictures taken more than 10 years ago - neither trolleys or trams, neither roads looks in their shape. 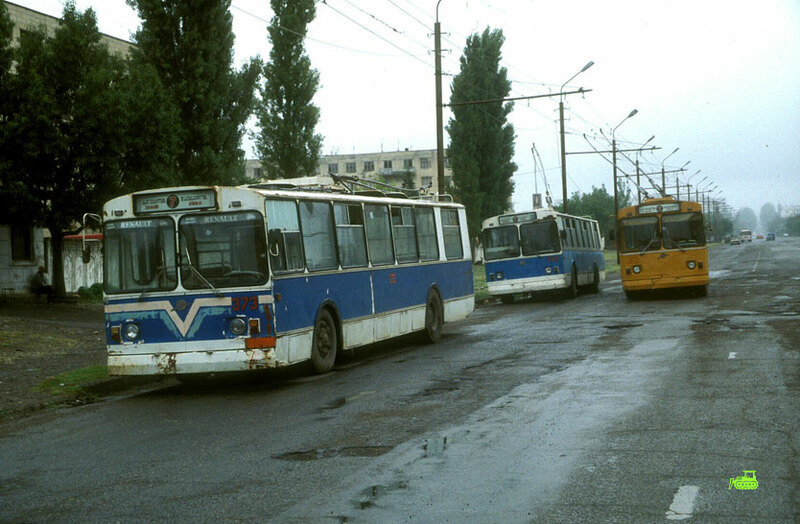 I guess it's just logical that those lines were abandoed after all. 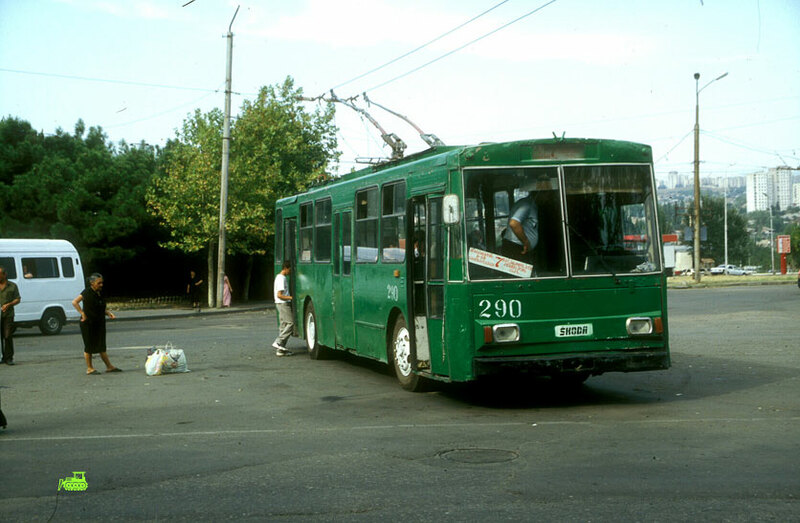 On other hand it's sad. 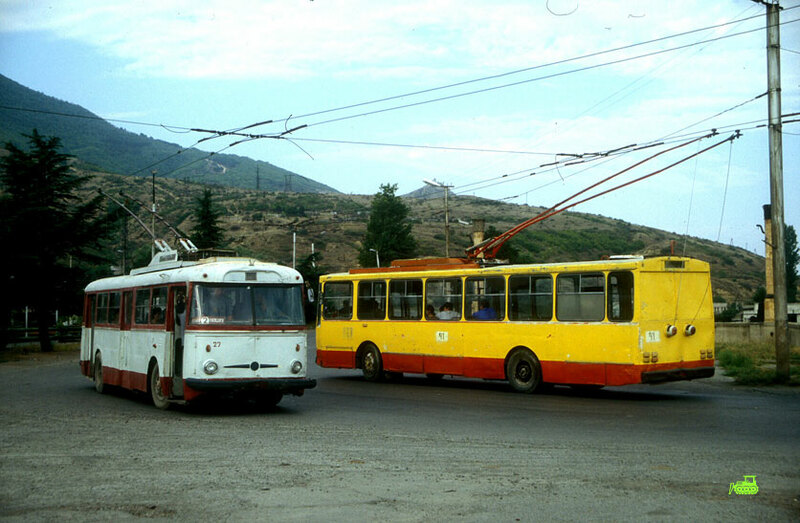 It's sad there were on investments made to upgrade existing cars, modernize lines. 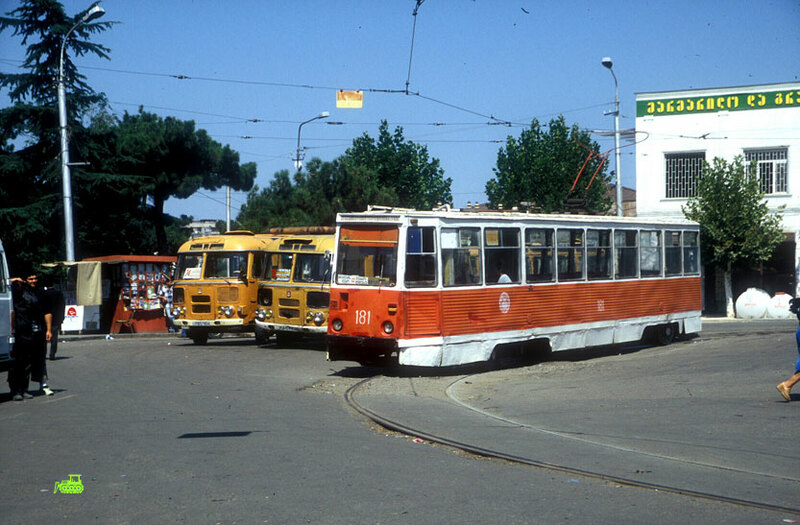 After all both trams and trolleys are "green". 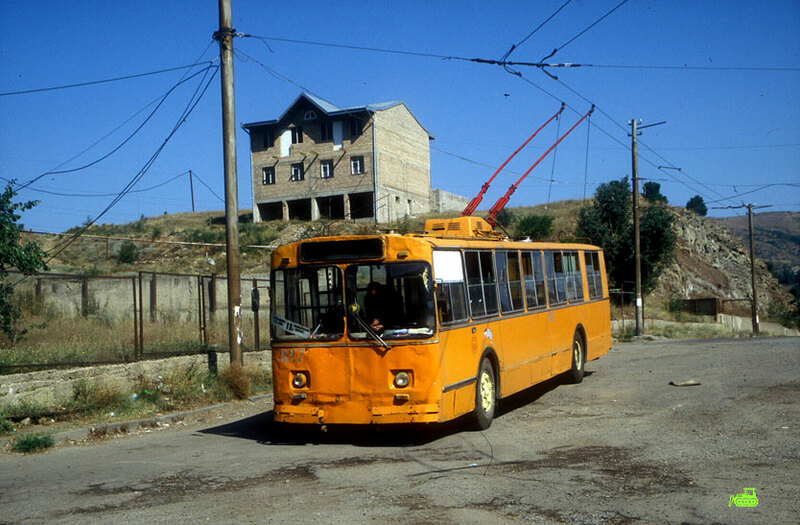 In our days there is a lot of talk of sustansable energy in Georgia, so I pressume some lines might return, at least to Tbilisi somewere in future.